I ran across a great article this morning that I wanted to share with all of you: The intuitive leader: The road to innovation is not paved. My friend Ariana talks about the critical role that intuition plays in leading a successful business. I see a lot of people who struggle with this concept. If you trust your intuition too much, you fear that it might head you off the cliff. Worse yet, it might be embarrassing to try to justify that failure in front of employees and partners who don’t share your intuition. But if you don’t use your intuition, you have to analyze everything to death in order to make decisions. That takes time and money. Worse yet, you can only do useful analysis if you’re in a space where people know how to do the analysis. 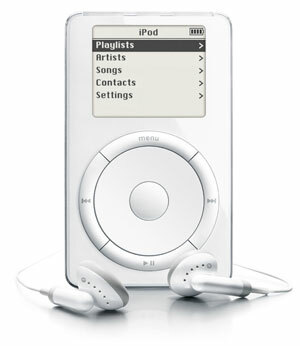 A common example: Apple’s iPod. I happen to relate closely to this, because I was watching when it emerged, and I couldn’t live without the little device. At the time, nobody knew how useful it would be to carry your entire music library in your pocket. Apple knew that people liked music, sure, but CDs were pretty darned portable. I spent many business trips hauling around a CD players, a wallet of CDs, and a handful of extra batteries. But the idea of condensing hundreds of CDs down into a single handheld device was totally unproven. Would millions of people actually pay hundreds of dollars for the convenience? From a computer company? There was no way to know, because it was so unlike anything which had been created before. Apple could have spent YEARS studying the market, but Steve Jobs chose to just release the device because his intuition said it could succeed. OK, so you’re not producing the next earthshaking invention. So it’s even more important to not get stuck in paralysis-by-analysis! Are you really betting your company through every decision you’re making? I’ll also point out that I’ve done some great exercises which can develop intuition. Well, actually, I’m not sure they DEVELOP the skill – I think they help you to notice and listen to what’s already there. Plus, intuition is partially based on education. I wouldn’t want to go out and push a racecar to the edge without gaining a bit of skill and practice first!